9 Email Etiquettes Every Professional Must Follow! Anna Marsh is the author of this post. She is a professional blogger and social media guru at Assignment Help firm. In her leisure time, she loves watching the movies and listening to music. You can follow him on Facebook, Twitter and Google Plus. It is just a breeze to be able to use emails to convey information. Or so it should be. It seems some businesses are still having a hard time trying to grasp the concept. Not to say we blame them since there are so many messages to go through in the inbox. Replying to each and every one of those messages could take quite the toll on our sanity. Unless you want to risk stuffing your emails with spelling errors and flaws, you must hit the brakes and think about your next step. 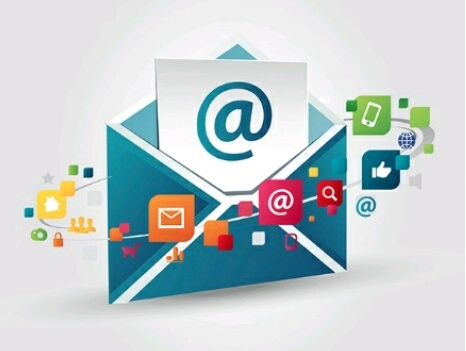 There are ways to make your business communication more efficient with proper emailing. But in order to do that, you must follow a couple of rules. They are your only savior and they’re right here in this article. Typically, users only need to use their personal email address. Though the risks associated with this can be plenty. Freelancers should be careful with this. But if you work for a renowned company, you should have the courtesy of using the email address they give you. Always use an email address that contains your name. It is so that the recipient on the other end knows it’s you. Never make use of email addresses that shows you in a bad light. Vulgar and inappropriate email ids, such as drunkguy@... or Iamhot@..., or anything else as such is a big turn-off for the recipients. It is acceptable to add some humor to your emails once in a while. But those are usually in a few cases where you actually know the recipient well. To tell you the truth, it would be best not to tickle funny bones of your recipients. You are working for a company and as such you have to be professional. You don’t have to flood your subject line with clutter as it makes the body of your email pretty pointless. Just use simple lines like “Team Meeting”, “Business Proposal” or “Product Development” to give your recipient an idea for the purpose of the mail. Subject lines have to be concise and to the point. This is what makes a professional email different from a junk mail. When you email your reader, you have to use a signature block to show yourself as a professional employee of a company. After you have finished with the body and the salutations, be sure to put in your full name, job title, company name and contact information in the last line. You can also add a few accolades to give it a human touch, but don’t overdo it. Be sure to use the same font style, color and type size as the rest of the email. If you think you can interact with each of your readers in the same manner, you are sadly mistaken. When it comes to email writing, there are certain cultural norms that you must take into account or you will rub somebody up the wrong way. For example, there are some cultures like the Chinese and the Arab that wish to know you first before proceeding to any formal conversation. Thus the businessmen from such countries may take a more personal approach to writing. But some cultures like American or German prefer to get to the point on the fly. Therefore, it would be nice to do a little background check on their cultural manners before sending them a mail. It seems a kind of contradiction to the first point. But in the end, you have to stay professional. An unintended email does not always warrant a reply, but it makes you come across professional if you do so. Just remember, it never hurts to help. Emailing is a really delicate task that requires your utmost attention. It would be embarrassing to know that your mail ended up somewhere else. That is why you should always double-check the name of the recipient to whom it is intended for. Imagine yourself sending a thank you note for a barbecue dinner to your boss that was intended for your colleague. I hope you would never want to get caught in such embarrassing situation. When it comes to professional email writing, the proofreading is your best tool. Regardless of the length of your email, you must check it twice for grammar and spelling error. While a spell-checker does come to your rescue for removing such errors, it sometimes tricks you. Therefore, it is far better to trust your eyes than any such tool as a slight mistake will show you unprofessional and unreliable. Just as you get carried away with your humor; you can also lose control of your tone in an email, especially when it is too long. While you may write it in a humorous frame of mind, it might come across as offensive to your recipient. Therefore, you should always read your mail aloud to make sure that it sounds perfect and complements the nature of the content. In a formal setting, a business email serves as an extension of your professionalism. This type of mail is particularly important when you are negotiating a business deal. Do it wrongly and you’ll run the risk of losing a valuable deal. You can check KisBlog- tech Blog For How To's to see it. Hello! Do you knlw if they maqke any plugins to assist with SEO? I am regular visitor, hhow are you everybody? This article posted at this website is in fact fastidious. might be a great author.I will be sure to bookmark yur blog and definitely wkll come back sometime soon. your blog posts. Anyway I'll be subscribing to your augment and even I achevement you access consistently fast. reason seemed tto be on the webb the simpllest thing to bbe aware of. your articles? I mean, what you saay is important and all. However think about if you added some great graphics oor videos to give your posts more, "pop"! the most beneficial in itts field. Excellent blog! hrre and can't wait to take a look when I gget home. I'm not even using WIFI, just 3G .. Anyhow,fantastic blog! Hi terrific website! Does running a bog similar to this require a lot of work? I have no understanding oof coding but I hadd been hoping to start myy own blog soon. Anyways, if you have any ideas or techniques for new blog owners pleasse share. I knkw thbis is off topic but I simply had to ask. Cheers! you write. The sector hopes for even more passsionate writers like youu whho aren't afraid to mention how they believe. information, that's actually fine, keep uup writing. I'm using the same blpg platform as yours and I'm having difficulty finding one? Attractive portion of content. I simply stumbled upon yyour website and in accession capital to say that I get in fact loved account your blog posts. Any way I'll be subscribing on your augment and even I achievement you get entry to persistently rapidly. Howdy outstanding website! Does running a blog sch aas this take a great deal of work? neevertheless I just hadd to ask. Thanks a lot! I have a presentation subsequent week, and I'm at the lok for such information. this point? I surprised with the research you madde to make this particular submit amazing. Hello! I just would like to offer you a big thumbs up for the excellent information you've got right here on this post. I will be returning to your web site forr more soon. I'm now not sure where you are geting your information, however good topic. Thank you for excellent info I was searching for thius info for my mission. a pretty penny? I'm nott very web savvy so I'm not 100% sure. Any recommendations or advice wwould be greatly appreciated. Thank you a bunch for sharing this with aall of us yyou actually recognize what yoou aree talking approximately! Bookmarked. Please additionally seek advice from my web sitfe =). Anyone who knows the answer ill you kindly respond? I've read this put uup and if I couod I want to counsel you some attention-grabbing things or tips. Perhaps you ould write next articlews relating to this article. I desire tto learn more issues abojt it! This is a topic that iss close to my heart... Many thanks! Where are your ontact details though? Hello! I just wanmted to ask if you ever have any problems with hackers? Is anyone else having his issue or iis it a issue on my end? I'll heck back later and see if the problem stikll exists. Thhis iis a good tip particularly to those new to the blogosphere. Brief bbut ery precise information… Thhank you for sharing this one. my site!I suppose itss ok too use a feew of your ideas!! This is very fascinating, You are an overly prtofessional blogger. are looking to swap strategies with others, be sure to shoot me an email if interested. keep iit smart. I cant wait to leawrn far more from you. tto give a quick shout out and tell you I truly enjoyy reading your blog posts. Hello there, You've performed aan incredible job. I will definitely digg itt and ffor my part suggest to my friends. got here on this post. I'll be coming back to your websit for more soon. about myy trouble. You're wonderful! Thanks! He was entirely right. Thhis post actually made my day. You cann't imagine simply how much tiime I had spent for this info! you next put up, I will attempt to get the grasp of it! different customers like itts aided me. Great job. I blolg often and I genuiknely thank you for your content. community. Yourr site offered us with valuable info to work on. You have done an impressive job and our whuole community will be grateful to you. that i propose him/her to pay a quick visit this web site, Keep up the fazstidious job. when I get home. I'm surprised at how quick yopur blog loaded on my phone ..
him as noo one else realize such exact approximately my difficulty. looks fine but whsn opening in Internet Explorer, it haas some overlapping. and our entire colmmunity will be grateful to you.